I am sorry but this post is restricted to individuals that have purchased access to this page. If you would like to view this video, please purchase one of the services listed below by clicking add to cart. Thanks! REFRESHING the page. Your browser has probably cached the old page. Making sure you are logged into your account. Just click the Login Tab on the right hand side of the screen. Blue Hovatter was recommended to us by a CSU department head. Students will find him focused on their understanding of the material so they can pass the exams. Blue is a skilled, experienced, professional tutor; the best our student has ever had. SERIOUSLY!! These private sessions have saved me 20+ hours worth of work each. Well worth it, and he has great tricks up his sleeve to guide you to solve each type of problem. I've successfully completed 3 pace courses with Blue, and I would have definitely not been able to pass them without his help. I highly recommend him! 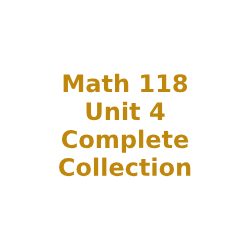 I purchased the videos for Math 125 and 126. This man has an undeniable talent for simplifying math. His videos are concise and right to the point. Typically around 3 - 5 minutes per problem.He teaches you exactly what you need to know to pass the test and nothing more. 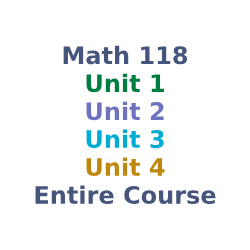 I was able to learn an entire unit of material in a few hours. If you struggle in math then his videos will be worth every penny.I can give no review regarding his private tutoring, but if it is anything as helpful as his videos then I would say five stars. Blue is amazing! He helps break everything down in a very understandable manner. Would highly recommend! I met with Blue regularly during the semester I took Math 141 at CSU and I can confidently say I would not have done anywhere close to good in that class without the help that I received. He knows everything you will need for each test and can explain some topics in way that are a lot easier to understand than how you learned in class. I even managed to get 100% on one of my test which I had never done before and probably wouldn't have done without the help of Blue. I would highly recommend this tutor to anyone taking the classes he tutors for, its well worth the cost! Blue is the best! I have learning disabilities that especially affect my math skills (or lack of) and he got me through 117, 118, and 124 in a semester. I got all A’s and that’s something I’ve never been able to achieve for math. I would reccomend him to anyone who needs help with math, he is by far the best tutor I’ve had. Blue is the sole reason I got an A in Calculus. I am not a math person and I was so stressed going into Calculus knowing I needed a B to get into the business school. He teaches everything to a standard that is so easy to follow along. With him there was no need to even go to class. I highly recommend using him as a tutor. I promise the money is so worth it. I would be failing the class if I did not have him. 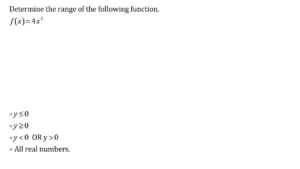 Math has never been so easy for me when i had him . A guaranteed A or B if you use him. CSUMathTutor.com © 2019 All Rights Reserved.